What is the average work commute time in Japan? In this article we take a look at the average amount of time people in Japan spend commuting to and from work. The average working person in Japan spends a total of 1 hour 19 minutes a day commuting for work, or about 39.5 minutes each way. This is according to a 2015 survey by the NHK Culture Research Institute (in Japanese), which asked people to account in detail for their daily activities in 15-minute intervals. Unsurprisingly, average commute time also varies by where respondents live. Working people in greater Tokyo had the longest daily roundtrip commute time of any group surveyed, coming in at 1 hour 42 minutes. Greater Osaka residents had average commute times of 1 hour 26 minutes. People who live in cities with populations of less than 300,000 spent 1 hour 9 minutes a day going to and from work. In terms of gender, working men spent 1 hour 27 minutes a day commuting, while the average working woman spent about 1 hour 8 minutes a day commuting. This difference can be accounted for by the higher percentage of women employed in part-time positions located closer to their homes. Compared to twenty years ago, average commute times have increased. In 1995, the average worker spent 1 hour 16 minutes commuting a day, or three minutes less than in 2015. Assuming that a full-time worker commutes 250 days a year (5 days a week) for 50 weeks (2 weeks off for vacation! ), there would be 250 commuting days a year. In this scenario, the average worker spends 13.7 days a year commuting, while the average worker in Tokyo spends 17.7 days a year commuting. To put these numbers in context, full-time workers in Japan who have worked continuously at least six months at a company and who work at least 30 hours a week, are entitled to 10 paid vacation days a year. What percentage of people commute at least an hour (each way)? The data below is from a survey conducted by AtHome. 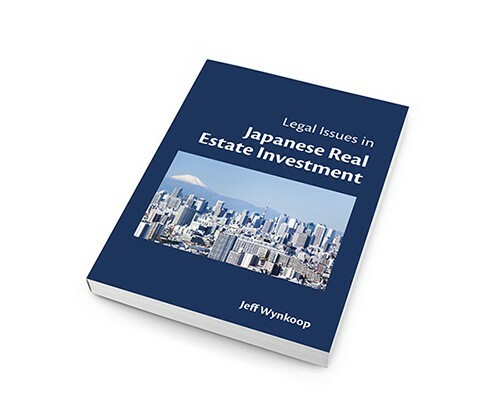 The survey (2014) asked “salarymen” (office workers) in the greater Tokyo area (including the prefectures of Chiba, Saitama, and Kanagawa) how many minutes a day they spent commuting a day, each way. The majority of respondents (85.2%) commuted by train. According to this survey, the average one-way commute time for a worker in greater Tokyo was 58 minutes, making for a daily total commute time of 116 minutes (higher than the 102 minutes found in the NHK survey above). 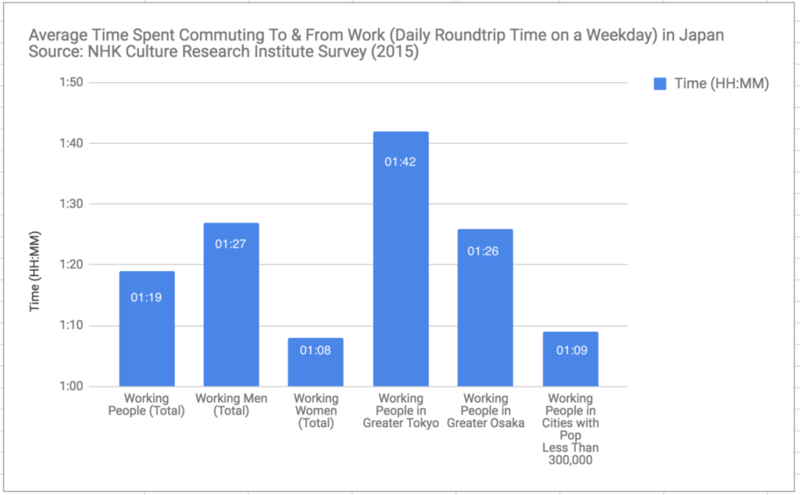 The distribution of answers from this survey is interesting, as it suggests that about 54% of people commute at least 60 minutes each way to-and-from work.